MACOMB, Ill. — Hannah Sjerven scored 20 points and No. 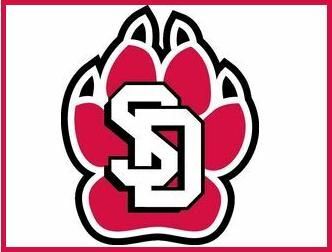 25 South Dakota celebrated its first appearance in the Top 25 on Saturday with an 83-61 win over Western Illinois for the Coyotes' second 10-game winning streak of the season. Ciara Duffy and Chloe Lamb combined for 35 points, going 7 of 12 from 3-point range for South Dakota State (23-3, 11-1 Summit League). Olivia Kaufmann and Annabel Graettinger had 15 points apiece for Western Illinois (12-14, 8-5), which entered the game having won four straight and 7 out of 8. The lone loss was 92-49 at South Dakota. The Leathernecks took a 16-15 lead after one quarter on the strength of going 8 of 9 from the foul line. The Coyotes responded by making 4 of 7 3-pointers and shooting 74 percent in outscoring Western Illinois 24-12 to lead 39-28 at halftime. They closed the half on a 17-4 run with Duffyscoring eight points. South Dakota steadily pulled away in the second half, making 16 of 27 shots (59 percent) to finish the game at 53 percent. Duffy finished 4 of 7 from 3-point range and scored 18 points; Lamb was 3 of 5 from distance and scored 17. Stanley Umude had 17 points and seven rebounds for South Dakota (10-15, 4-8 Summit League), which broke its four-game losing streak. Triston Simpson added 13 points. Tyler Peterson had 11 points and six rebounds for the visiting team. Kobe Webster had 16 points and seven rebounds for the Leathernecks (8-17, 3-9), who have now lost four games in a row. C.J. Duff added 15 points. Brandon Gilbeck had 10 points and three blocks. The Coyotes evened the season series against the Leathernecks with the win. Western Illinois defeated South Dakota 65-59 on Jan. 26. South Dakota plays Denver at home on Wednesday. Western Illinois matches up against Nebraska Omaha on the road on Wednesday.